The New Brunswick Community College’s Mobile First Technology Initiative (NBCC–MFTI) performs applied research and experimental development with a variety of industrial and non-industrial partners. The principal supporter of NBCC–MFTI is the National Sciences and Engineering Research Council of Canada (NSERC). William McIver Jr., Ph.D. (Bill) is the NSERC Industrial Research Chair in Mobile First Technology at NBCC and Director of the NBCC–MFTI. Supporting NBCC students, faculty, staff, and alumni in performing early-stage innovation. MFTi's principal supporter is the National Sciences and Engineering Research Council of Canada – Industrial Research Chair for Colleges program. MFTi is fortunate to receive additional financial and in-kind support from industrial partners IGT, T4G, Technology Venture Corporation, Mariner Partners, Accreon, and Stellar Learning Strategies. MFTi has also received additional support through grants from New Brunswick Innovation Foundation (NBIF), National Research Council of Canada – Industrial Research Assistance Program (NRC–IRAP), PETL, Springboard, UNB, Knowledge Park, and TechImpact. Mobile and smart tv apps for the Abigail Massey At McAdam Station book series by New Brunswick author Mark Walma. MFTi's activities contribute to the development of highly qualified personnel (HQP) for New Brunswick through faculty secondments, student research assistantships, and knowledge transfer into the classroom. Developing resources to sustain MFTi. MFTi's vision is to complement existing innovation programs in New Brunswick by filling gaps in support for early-stage innovation. MFTi supports early-stage innovation through a low risk, barrier-free environment called the Mobile Ideaspace and supporting programs centred around design thinking. NBCC identified mobile technology as a strategically important area for innovation and skills development in New Brunswick through a consultative process involving stakeholders in Province’s ICT ecosystem. NBCC initiated the Mobile First Technology Initiative in May of 2013 as a result of this consultation and with the support of a grant from the Natural Sciences and Engineering Research Council of Canada (NSERC) – Industrial Research Chairs for Colleges program. NBCC’s Advisory Council members consist of representatives from partner companies IGT, T4G, Technology Venture Corporation, Mariner Partners, Accreon, and Stellar Learning Strategies; as well as the University of New Brunswick; the Knowledge Park in Fredericton, New Brunswick; and the New Brunswick Information Technology Council. William McIver Jr., PhD (Bill) is the NSERC Industrial Research Chair in Mobile First Technology at the New Brunswick Community College (NBCC). He conducts applied research in the practical application of mobile information and communication technologies to a wide range of industrial and social use cases. 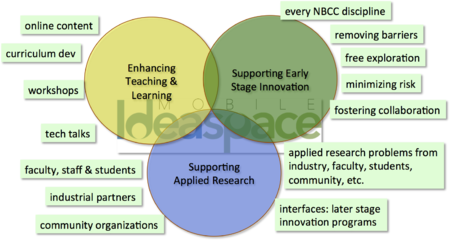 He also manages the NBCC Mobile Ideaspace, a physical and virtual laboratory spanning the NBCC's six campuses and designed to leverage NBCC’s competencies, tools, and infrastructure in support of early-stage innovation across the province. Bill has performed research in academic, federal, and industrial contexts. He has patented and licensed technologies. He is a former Senior Research Officer in the Institute for Information Technologies of the National Research Council (NRC) in Fredericton. He led research projects in NRC that designed and implemented Web-based video prototypes for remote health care use cases and a production system for automated vehicle location and next stop announcement for public transit. The latter project received the 2010 KIRA Award in the category Technology Advancement / Private with Redball Internet. 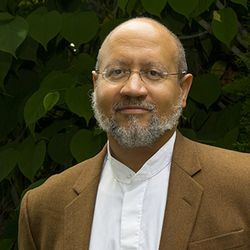 His current research interests include interconnected user experience between mobile and television-based app frameworks, captology, and design thinking. This page was last modified on 13 October 2017, at 13:47.